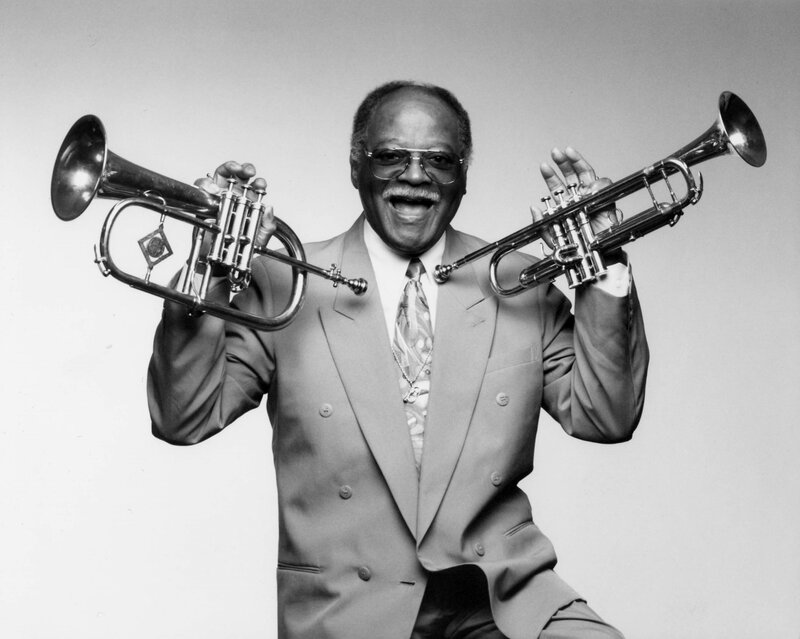 Clark Terry’s career in jazz spans more than seventy years. He is a world-class trumpeter, flugelhornist, educator, composer, writer, trumpet/flugelhorn designer, teacher and NEA Jazz Master. He has performed for eight U.S. Presidents, and was a Jazz Ambassador for State Department tours in the Middle East and Africa. More than fifty jazz festivals have featured him at sea and on land in all seven continents. Many have been named in his honor. He is one of the most recorded musicians in the history of jazz, with more than nine-hundred recordings. 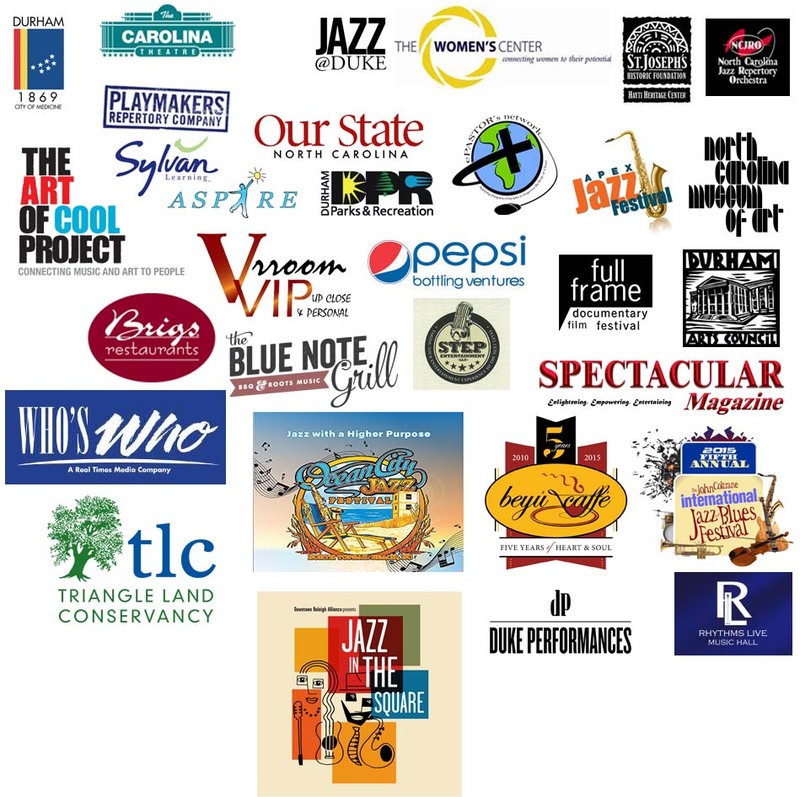 Clark’s discography reads like a “Who’s Who In Jazz,” with personnel that includes greats such as Quincy Jones, Ella Fitzgerald, Oscar Peterson, Dizzy Gillespie, Dinah Washington, Ben Webster, Aretha Franklin, Charlie Barnet, Doc Severinsen, Ray Charles, Billy Strayhorn, Dexter Gordon, Thelonious Monk, Billie Holiday, Gerry Mulligan, Sarah Vaughan, Coleman Hawkins, Zoot Sims, Milt Jackson, Bob Brookmeyer, and Dianne Reeves. Among his numerous recordings, he has been featured with the Duke Ellington Orchestra, Count Basie Orchestra, Dutch Metropole Orchestra, Chicago Jazz Orchestra, Woody Herman Orchestra, Herbie Mann Orchestra, Donald Byrd Orchestra, and many other large ensembles – high school and college ensembles, his own duos, trios, quartets, quintets, sextets, octets, and two big bands – Clark Terry’s Big Bad Band and Clark Terry’s Young Titans of Jazz. His Grammy and NARAS Awards include: 2010 Grammy Lifetime Achievement Award, NARAS President’s Merit Award, three Grammy nominations, and two Grammy certificates. His original compositions include more than two hundred jazz songs, and he co-authored books such as Let’s Talk Trumpet: From Legit to Jazz, Interpretation of the Jazz Language and Clark Terry’s System of Circular Breathing for Woodwind and Brass Instruments with Phil Rizzo. After serving in the navy from 1942-1945 during the historic “Great Lakes Experience,” Clark’s musical star rose rapidly with successful stints in the bands of George Hudson, Charlie Barnet, Charlie Ventura, Eddie Vinson, and then in 1948 – the great Count Basie. In addition to his outstanding musical contribution to these bands, Mr. Terry exerted a positive influence on musicians such as Miles Davis and Quincy Jones, both of whom credit Clark as a formidable influence during the early stages of their careers. In 1951 Clark was asked to join Maestro Duke Ellington’s renowned orchestra where he stayed for eight years as a featured soloist. After his stint at NBC, between his performances and recording dates at concerts, clubs, cruises and jazz festivals, Clark became more dedicated to his greatest passion – jazz education. He organized a Harlem youth band which became the seed for Jazz Mobile in New York City. Billy Taylor then asked him to teach in educational institutions. This motivated Clark to organize other youth bands and influence many other jazz legends to teach with him at jazz camps, clinics and festivals at colleges and universities, while still maintaining a hectic performance and recording schedule for the next thirty years. To celebrate his contributions to jazz education, he has been honored with fifteen honorary doctorates, and three adjunct professorships. He has also received numerous awards from high schools, junior high schools and elementary schools where he has shared his knowledge of jazz. Among his many awards, he has received honors from his hometown in St. Louis, Missouri which include a Hall of Fame Award from Vashon High School; a Walk of Fame Award and Star on Blueberry Hill in St. Louis, and a life-sized wax figure and memorabilia display at the Griot Museum. Clark has received dozens of other Hall and Wall of Fame Awards, Jazz Master Awards, keys to cities, lifetime achievement awards (four were presented to him in 2010), trophies, plaques and other prestigious awards. The French and Austrian Governments presented him with their esteemed Arts and Letters Awards, and he was knighted in Germany. 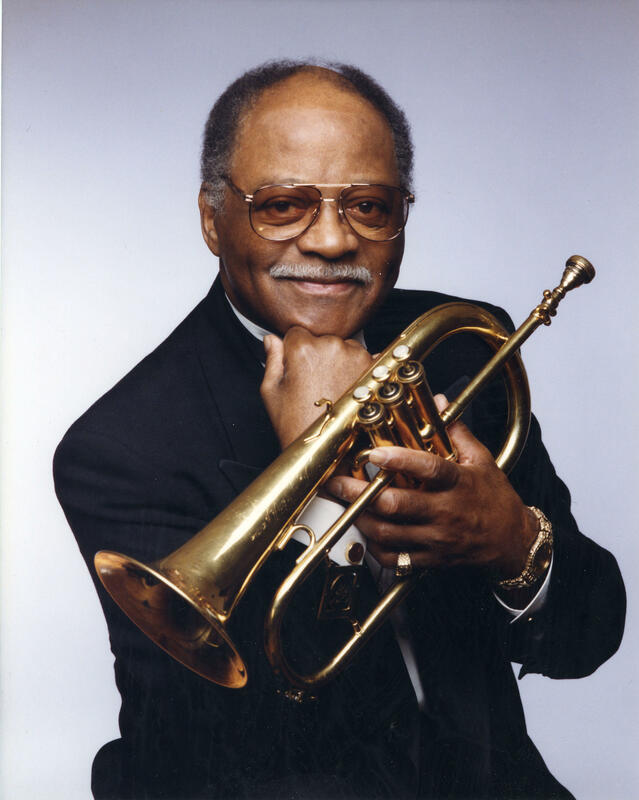 His long-awaited book – Clark: The Autobiography of Clark Terry – is available now, published by University of California Press.